Over the years of being the CEO of my own home, I have done my best to learn how to reduce food waste as much as possible. I am seriously ashamed of how much food we used to throw out when we first got married because it would go bad before we were able to use it. It made me want to cry every time I cleaned out our refrigerator, pantry and freezer. I vowed to get better and learn how much to buy and how to store it better. We all buy groceries every week, but statistically, the average American household throws out a scary amount of the groceries that they themselves chose in the store, paid money for and had the best intentions of using. When we stroll through the aisles of the grocery stores, looking at all the colorful produce, pretty packaging and place the items that call our name into our carts, we definitely don’t expect that a big portion of this will end up in the trash, right? First of all, you need to learn how much to buy. 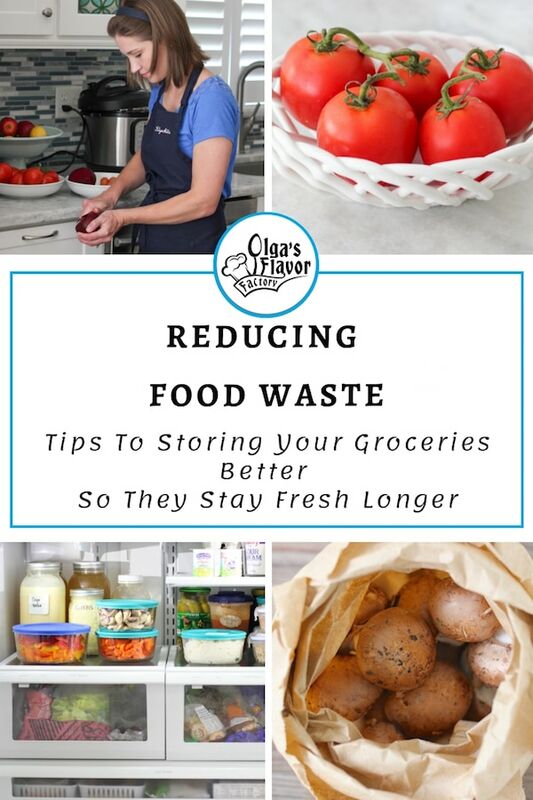 If you’re buying too much food, no matter how hard you try, it will not magically wait for you to be able to incorporate it into a meal and the next thing you know, that bag of green spinach is wilted and leaking on the bottom of your crisper drawer. Also, just because it’s on sale, doesn’t make it a great deal if you won’t be able to use it before it expires. 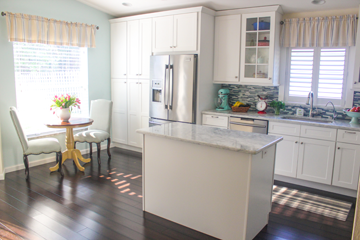 However, if you don’t buy enough and your cupboards go bare, you’ll most likely have to make too many trips to the grocery stores (which means that you’ll spend more money each time you go, rather than buying more in one trip). Experiment and find your happy medium. 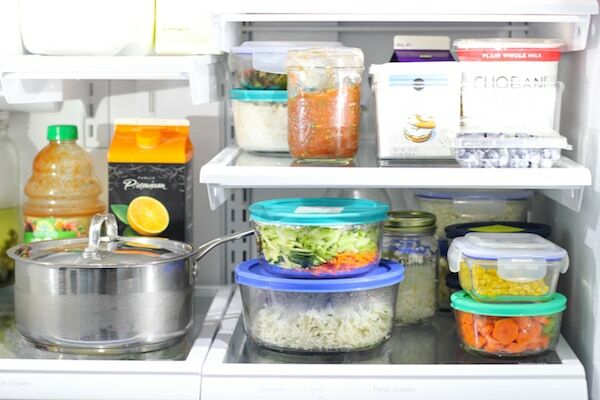 There are also many ways to store your groceries better so that they last longer. 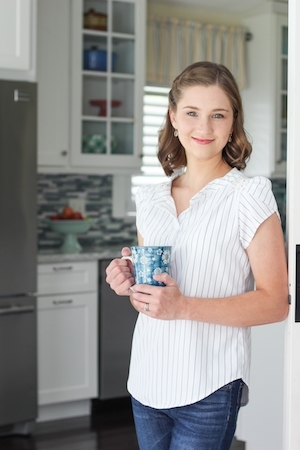 I am here to share the tips that I’ve picked up over the years and actually use in my own kitchen. I also created a very helpful printable for you that you can print out and tape to an inside cupboard door to remind you if something should be stored at room temperature or in the refrigerator. Meal Plan and Use Perishables First. I am a big proponent of meal planning and have talked extensively about it for years. Many people go to the store and just buy a cart full of groceries and then try to figure out a plan to use those ingredients in some way the following week. Instead, make a meal plan and buy the ingredients you’ll actually need for those meals and the other things you normally consume – snacks, treats, breakfasts, lunches, etc. Use the perishables in the beginning of the week, like berries, fresh herbs, avocados, and leave the other ingredients that will last longer for the end of the week, such as cabbage, potatoes, butternut squash, etc. Meal Prep. Having ingredients washed, chopped, sliced and ready to be used will help you use them, which of course helps to decrease food waste. Help your future self. Its harder to talk yourself out of making dinner when half of the work is already done. READ MORE and watch videos about MEAL PREP. Wash lettuce and fresh herbs in a salad spinner and then store in a ziplock bag, slightly opened, with a paper towel at the bottom to soak up extra moisture. 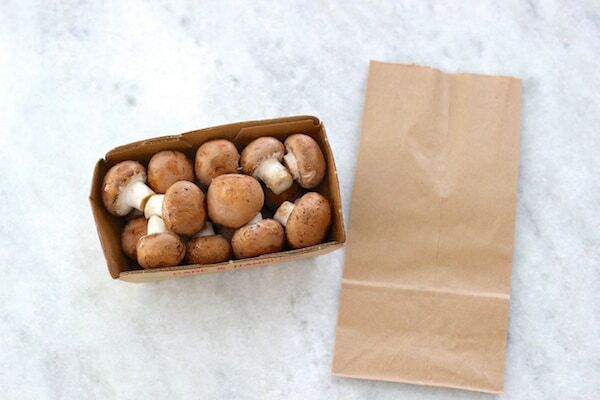 Store fresh mushrooms in a paper bag instead of the store container. Store in the refrigerator. Avocados will stay fresh longer in the refrigerator, but if you need them to ripen faster, keep them on your counter.Watch avocados like a hawk – they go from green to over ripe overnight, it seems, so as soon as they are soft, put them in your fridge and better yet, use them up that same day. I actually buy most avocados green, with just 1-2 that are ripe and store them all in my refrigerator, in the crisper drawer, and take out what we need a day or two in advance to ripen on the counter. 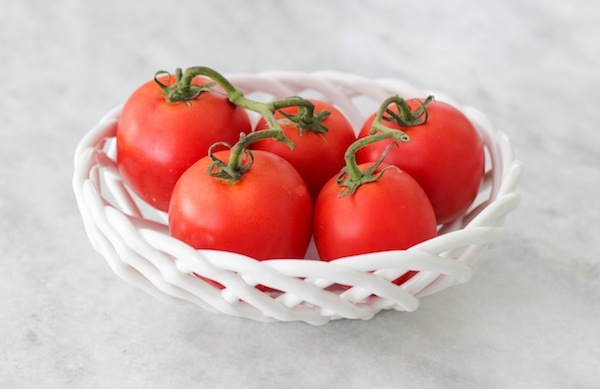 Tomatoes taste much better if they are not refrigerated – when they get cold, their membranes break down and the taste isn’t as good, but of course, keep them in the refrigerator if they go bad too quickly. I also keep apples, peaches, plums, nectarines, mangos, citrus on the counter as well and then when they are ripe/starting to soften, move them to the refrigerator. At that point, I also try to prep them to eat, so that we use them faster. Keep all your fruit and vegetables that you are trying to keep fresh longer AWAY from apples or bananas. They have ethylene, which is a ripening agent and will make them go bad faster. However, if you are trying to ripen something faster, like an avocado, you can put it in a paper bag with a banana and it’s supposed to quicken the ripening process. I feel the same way about bread. 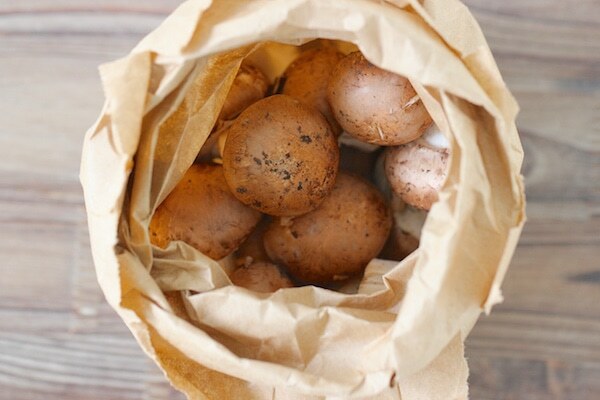 The taste and texture is much better if I store it at room temperature, in a bag, but if we don’t go through it fast enough, I refrigerate it so we can keep it fresh longer. Bread freezes really well too, so whenever we don’t go through bread, muffins, croissants, bagels, etc. fast enough, I put them in the freezer. 8. 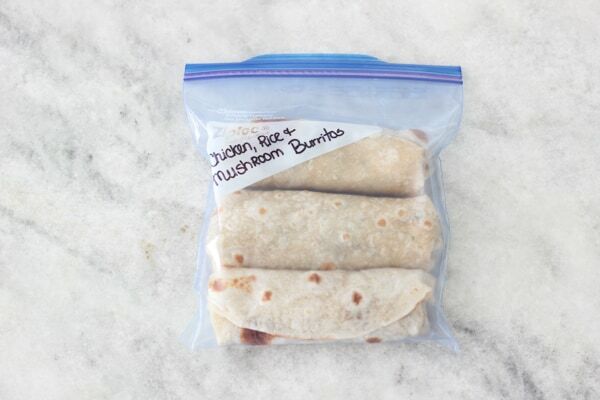 If you’re not going to eat something before it goes bad, freeze it while it’s still fresh. This means leftovers too, as well as fresh fruit and vegetables. Fruit, vegetables – if they are getting soft, put them in the freezer. You can use fruit and berries in smoothies or in baking. Vegetables are great to add to broth and soups. Most vegetables can be frozen, except lettuce and potatoes. Even if they won’t have the same crispness, you will never notice when you add them to a soup. 9. Wash and cut up watermelon, cantaloupe, mango and pineapple and store in the refrigerator, draining all the excess liquid every day so the fruit lasts longer. This will make healthy snacking more convenient and we eat the fruit much faster than if I leave it on the counter for awhile. I don’t want to admit the number of times we’ve thrown out fruit when I don’t prep it and we almost never throw it out if I cut it up and put it in the fridge. 10. 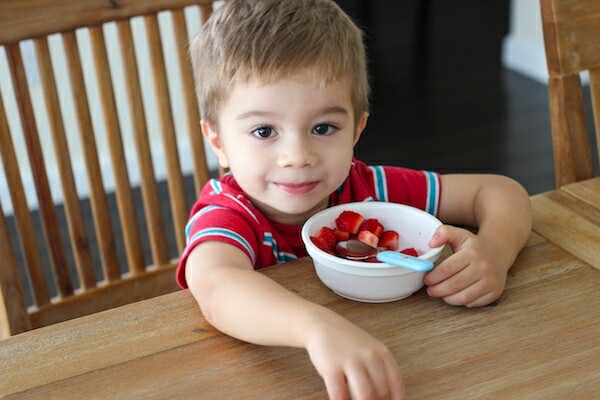 Don’t wash berries until you are ready to eat them. I’ve heard many people say that they wash the berries in a water and vinegar solution, but I haven’t had any success with this. I just serve fresh berries the first few days after we buy them. 11. 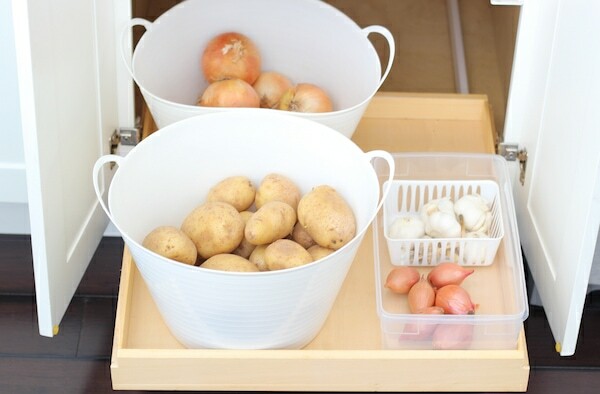 Potatoes, onions, garlic and shallots are best stored at room temperature, in a cool, dry place. I keep mine in my pantry, in separate containers. Here are some of the other veggies that I store in my refrigerator, in a crisper drawer. I actually don’t wash any fruit or vegetables before using them, unless I am meal prepping them for something specific. Celery (wrapped in aluminum foil) – this trick works so well to keep the celery crips longer. Cabbage, cauliflower, broccoli, brussels sprouts, zucchini, green beans, peppers, corn – store in a loosely sealed or perforated bag. 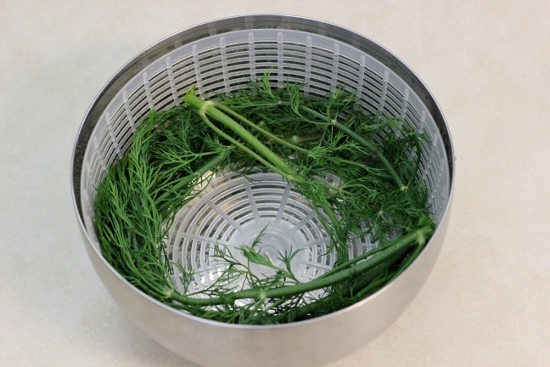 Asparagus – store in a cup with the ends in a little bit of water, like flowers. 12. Some food is actually best stored in the freezer. I am working on another post sharing all of my freezing tips, but here are a few to consider. Nuts, whole wheat flour and rye flour, bran – all of these ingredients have natural oils and they go rancid and get that weird bitter taste much faster if stored at room temperature. I keep all of these in my freezer. 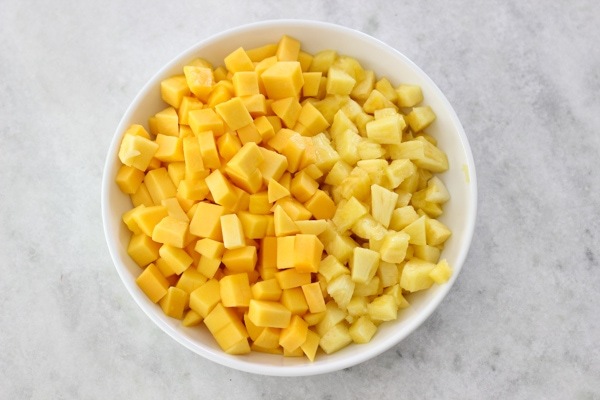 The plus is that they don’t freeze solid, so you don’t even have to thaw these ingredients, just add them to your recipes straight from the freezer. Extra butter – next time there is a sale, freeze what you don’t use on a regular basis. Butter freezes so well and will be the exact same quality when thawed. It’s actually great to use frozen butter for pie dough and some cookie doughs that require cold butter. How do you reduce food waste? 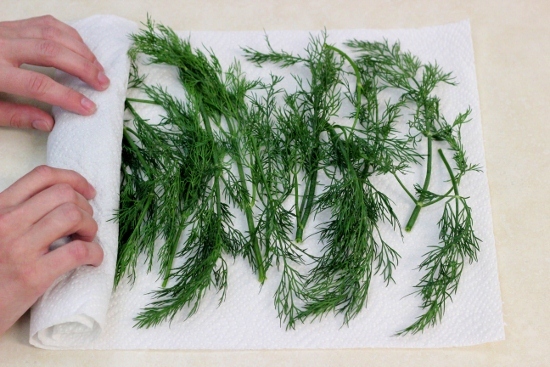 What are some things that you do to prolong the freshness of your groceries? Please share your experience with all of us. I’m sure between all of us, we can learn from each other and get better so that every week, there is less and less food waste. 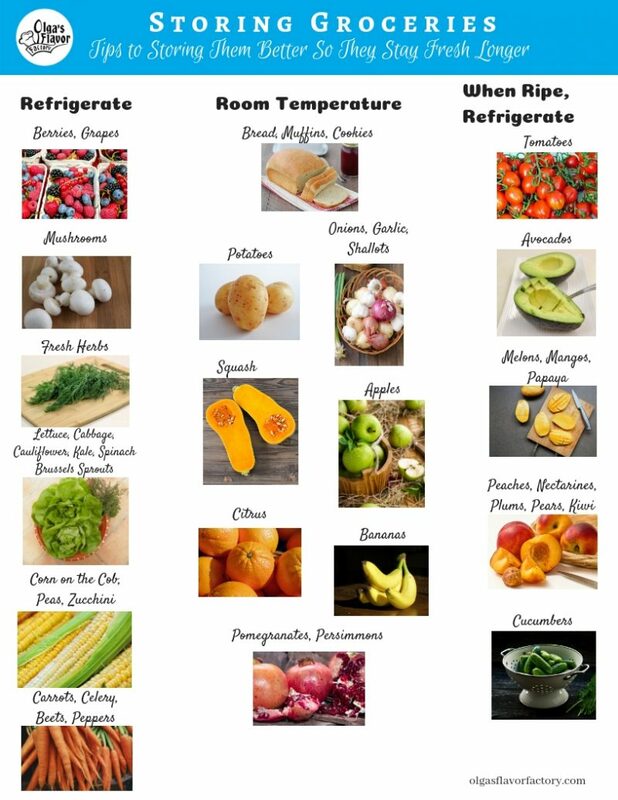 If you want this printable for Storing Vegetables, all you have to do is sign up for my newsletter and I will email you the pdf. If you’re already signed up for my newsletter, you will get this pdf in the next newsletter, so you don’t have to do anything. Sign up HERE. Soooooooo glad you made a blog on this! I’m so glad this was helpful for you:). Awesome post! Thank you for all the tips! Very useful! I didn’t know about the nuts, flour to keep in the freezer. As soon as we come home, I’ll have to put all of our hazelnuts into the freezer. Thanks so much for the tips! I’m a college student trying to figure out how to make healthier food and am going to put some of this advice to good use. That’s really awesome that you’re trying to eat healthier, Erica. I hope this tips will be a helpful tool for you. Yes, those perishables go bad quickly if you don’t have a plan for them. I hope this post will be helpful for you, Tonya. Love this post and the printable! I’m so going to put it in my pantry so that I could remember all these tips! I’m so glad you found this helpful, Anna. 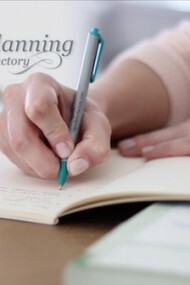 Olga, thank-you for your wonderful blog. I am of grandmother age and still find useful ideas that you post. 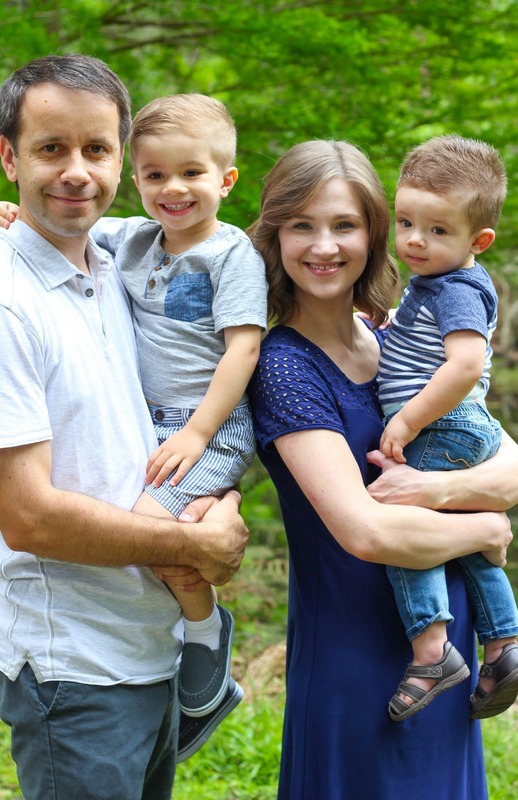 Keep up you fantastic work and I must say that you have a very beautiful family !! Thank you so much for the kind words, Nancy! I never knew the trick about celery sticks in the foil. Will have to try that out. The nuts in the freezer is a true fact; ever since I started storing nuts in the freezer, they almost never go rancid and taste as fresh as if just bought. Now the rye flour, I won’t have enough room in the freezer, but that explains why it became bitter in the pantry. Thank you for this very informative post. Would surely be nice if more of us wasted less of the food. P.S. Having chickens (in the chicken coop/yard of course, not your kitchen B-) is the best thing for not just throwing food into trash :-). At least they can give you fresh eggs after eating food scraps. Thank you for sharing your experience, Larisa:). I appreciate your input. I’m glad you enjoyed this post. I think the chickens in the yard is a great idea! Nathan is such a cutie. Love seeing your boys in your blog photos. They spice up the content. 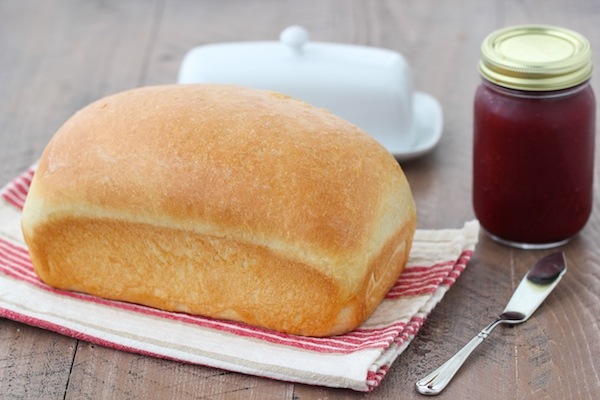 Oh, and your bread looks just beautiful in that picture with jam. Mmmmm. Made me want to bake home-made bread soon. Thank you, Larisa. We definitely think our boys are really cute:). I hope you try the homemade bread – there’s nothing quite like it. One thing that I do is when you have bananas that are ripe, but you have no use for them, don’t feel like baking banana bread, put them in the freezer for smoothies. Yes, that’s a great tip:). The frozen bananas make the smoothies really creamy. 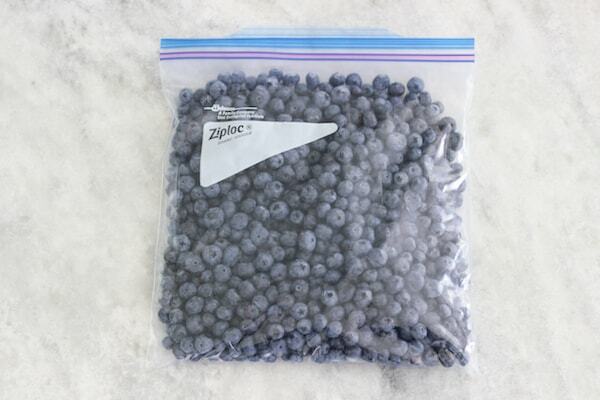 I always have a stash of frozen fruit in my freezer for kompot – I got that from my Mom:).